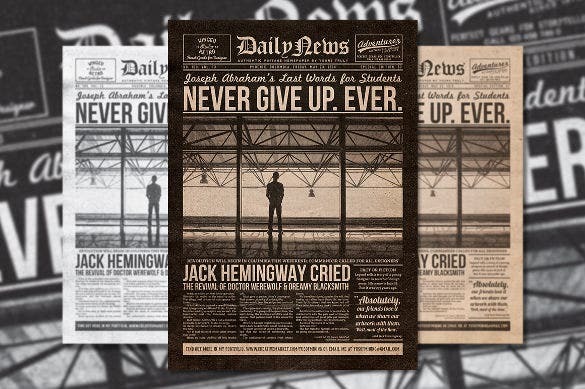 11+ Vintage Newspaper Templates – Free Sample, Example, Format Download! 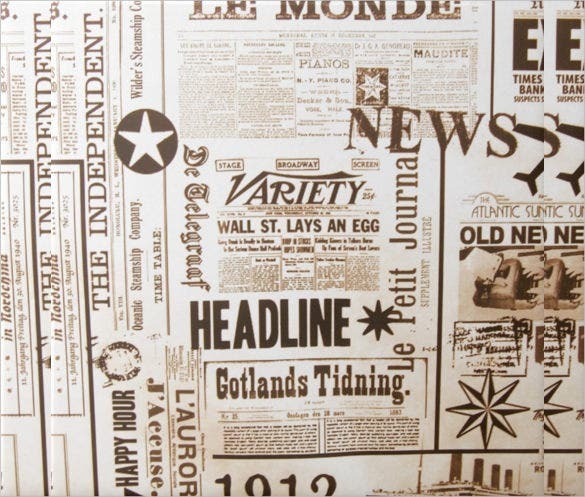 Vintage newspaper with their calligraphically beautified fonts and monochromatic images and drawings continue to enamor the modern generation. No wonder then that people still think this as a great way to spread news or to make an announcement. 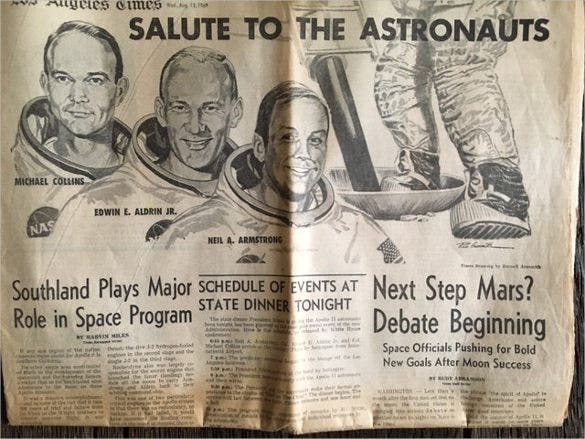 In case you have any such plans in mind, you can easily do this with the help of online vintage newspaper templates. 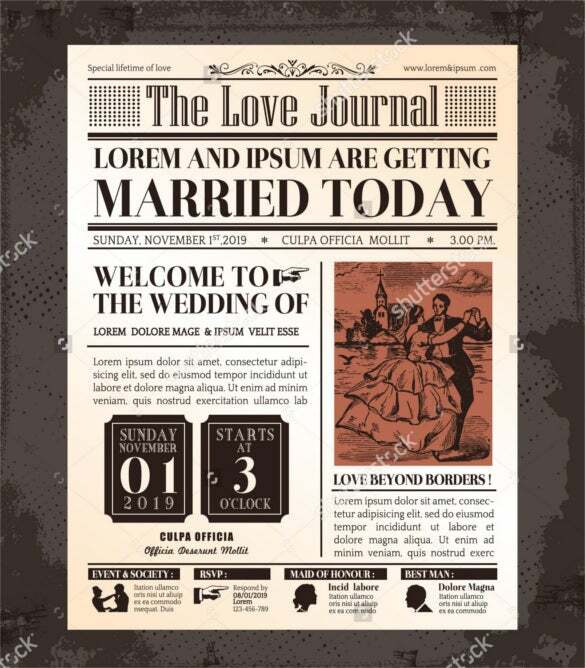 You may like Old Newspaper Templates Whether you need a plain newspaper or one with illustrations, you can find everything here. All you need to do is, browse through the wide range of these NewsPaper Templates and choose the one that seems perfect. Download this and customize it by adding the desired content and images. 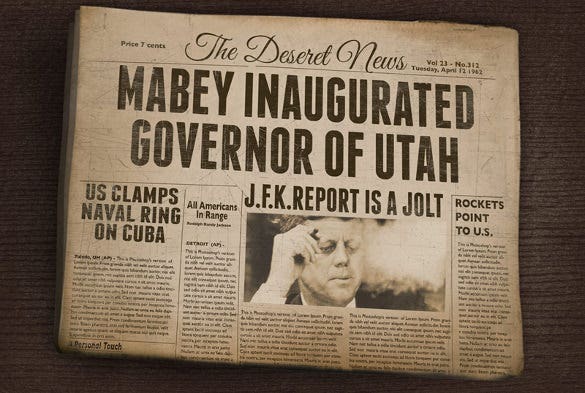 This vintage newspaper template would be suitable for a daily, it places all the significant news items above the fold. The main headline is written separately at the top, with subheadings written above the article. You get three options in color if you choose to download this template. Each has a large image covering the majority of the page, with a short, crisp text forming the body. The most attractive part about this newspaper template is the title of the paper itself. It is written in a grand fashion, surrounded by a wide red border to make the newspaper appear stately. 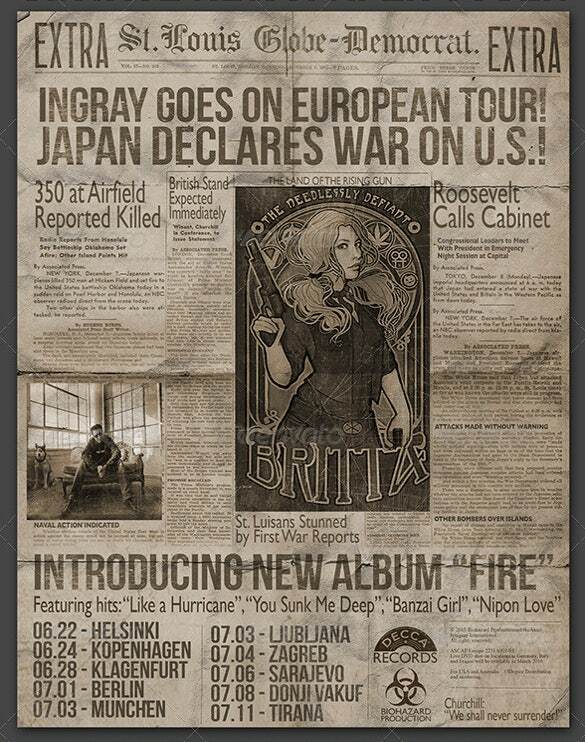 You can download this template if you have a weekly, a tabloid or a newspaper that covers special events. 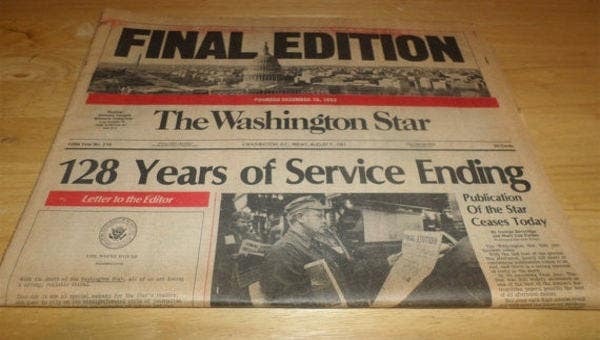 The reddish hue of the newspaper page adds to a unique charm that most lack. 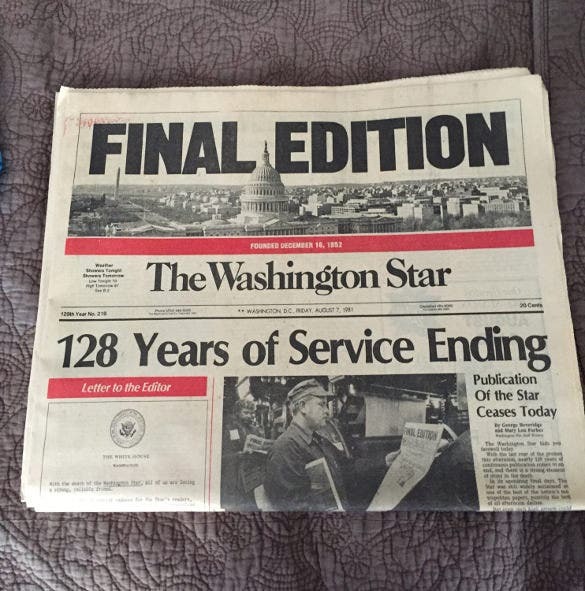 This Final Edition newspaper template includes a sprawling image in the space designated for title itself! The whole thing is enclosed within a red border to add a bit of color to the paper. Advertisements can become quite monotonous if you don’t experiment with them. 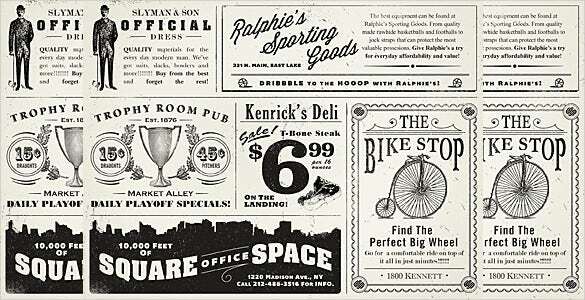 To add a special touch, you can give it a retro look with this vintage themed newspaper ad template. 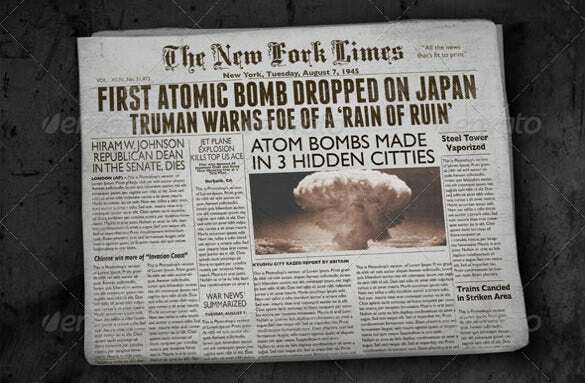 This newspaper template available in a PSD format, has a unique look which would go well with your paper. You can also add images of different sizes in the spaces allotted. 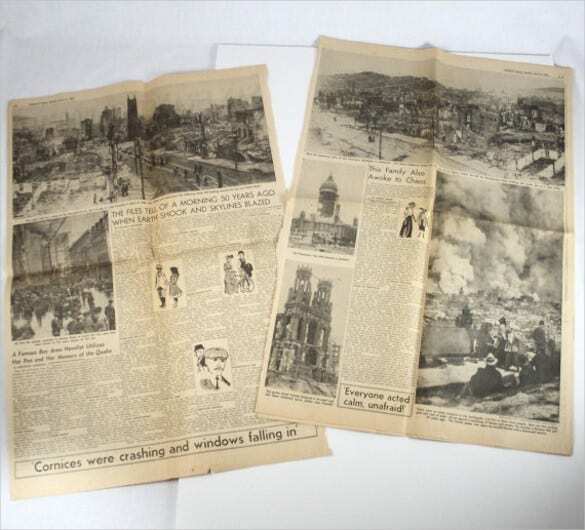 If you’re covering a natural disaster like an earthquake, you need to add relevant and impactful images, like the template, which will give a vivid idea of the loss of life and property caused. 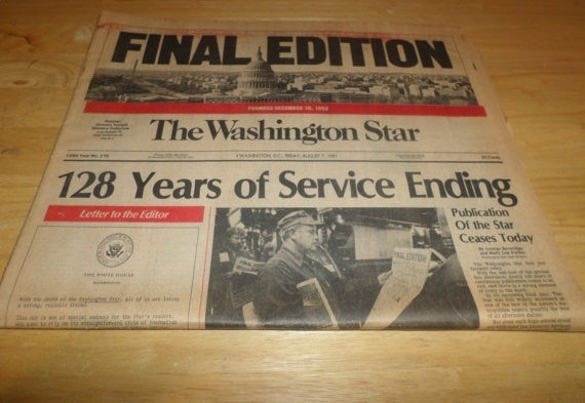 You could try something different this Halloween by running a newspaper that goes with the mood of this special day. 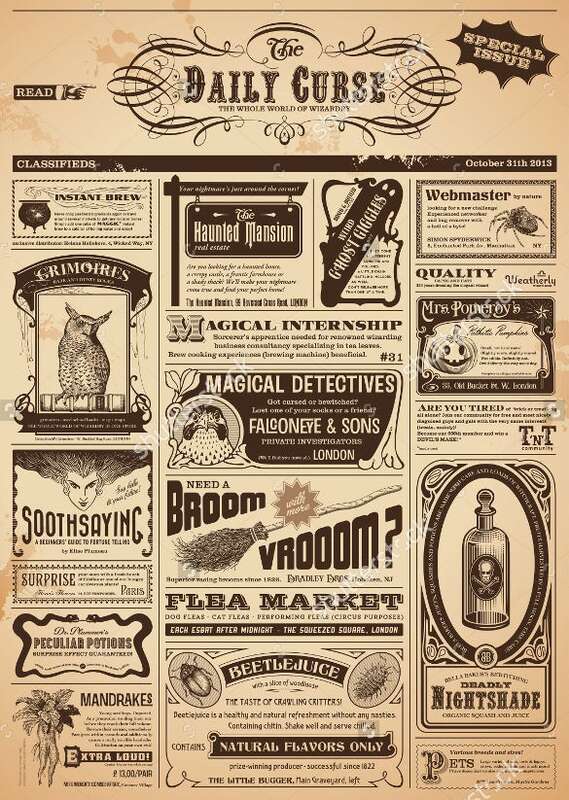 You could employ any of the “spooky” or “eerie” advertisements in the template. This particular template would be more appropriate for the ad page of your newspaper. Each segment is scattered all over the page, with the headlines standing out from the rest of the article.